Stones are painted with Acrylic paint and small details are added in with Sharpie markers. I seal the stones with Americana Acrylic Paint sealer to prevent some wear and tear. A City Transportation Set: Fire truck, school bus, police car, and Stop Sign. Each stone is sealed to be weatherproof and fit for the outdoors. However, no sealer will permanently protect the painted stones left outside. 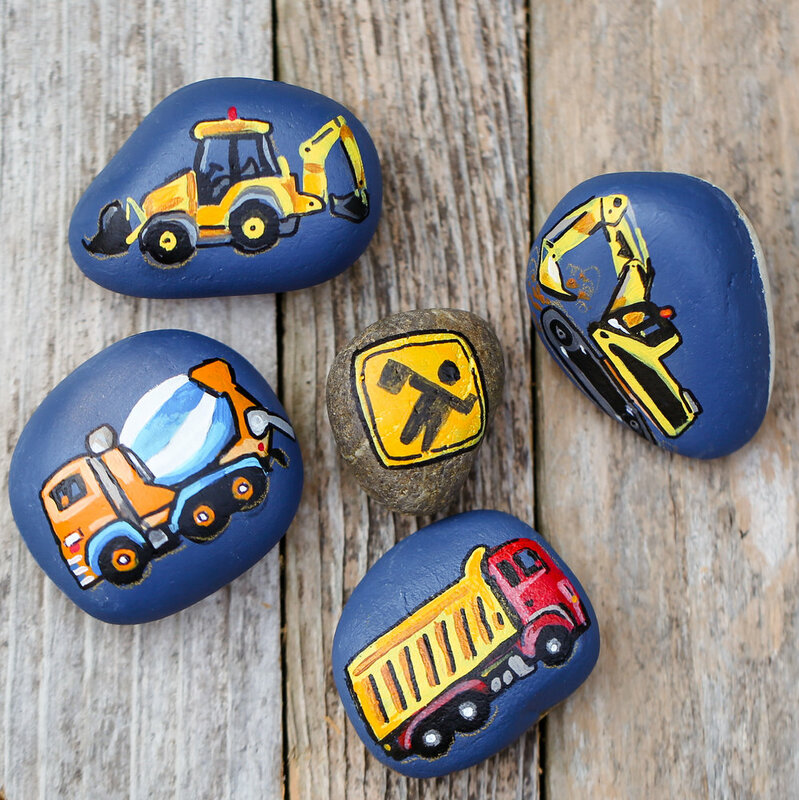 I recommend spraying your outside painted rocks with a Krylon acrylic sealer if the design begins to fade with lots of love, or if you notice any sign of wear and tear. Thank you for visiting our site! 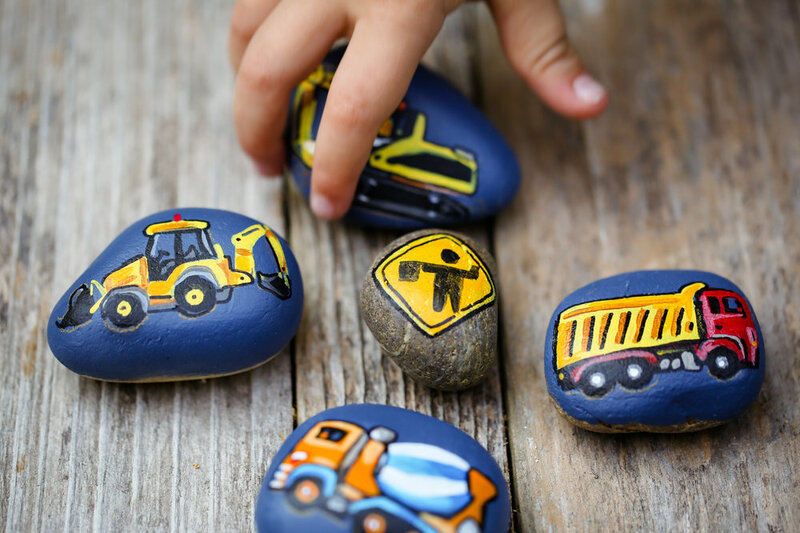 I hope you enjoyed these stones and it inspires you to create for your little one as well!